As a former medieval royal residence, Northampton is a charming town steeped in history, drama and changing fortunes. An intriguing setting to our murder mysteries, the town suffered the Great Fire of Northampton in the Middle Ages and most of the old monasteries and churches were destroyed. Following the reconstruction, a beautiful Georgian architectural backdrop emerged, ideal for our Commercial Break. Northampton’s town square is one of Britain’s largest and historic, dating back to 1235, and would tempt those keen on adventure and discovery! Equidistant between London and Birmingham, Northampton is one of our favourite alternative spots in the East Midlands and we know that variety is the spice of life. Why not give us a call on 0845 006 06 06 or complete a quick enquiry form if you want to find somewhere different and picturesque for your next team event. A magnificent Grade I listed country hall, Rushton Hall Hotel is opulent, elegant and inspiring. Surrounded by 25 acres of grounds with a lake and ancient trees, it is also home to Stableyard spa and a Three Rosette restaurant. A real treat for all who visit! 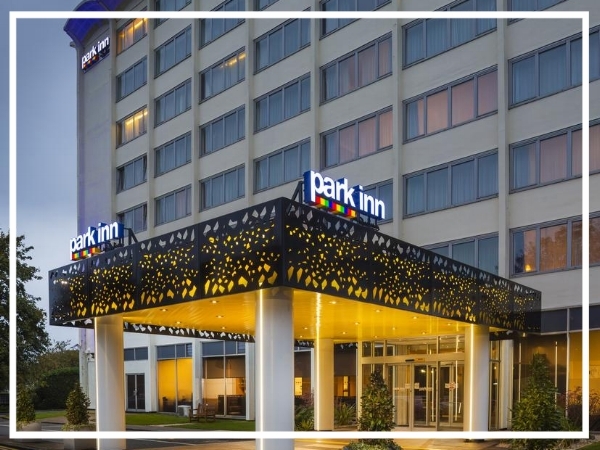 The convenient town centre location and an on-site car park are just a few benefits Park Inn by Radisson Northampton has to offer. 146 bedrooms, meeting facilities, spa services and an onsite Bar & Grill ensure this venue as a must for your next team build event in Northampton. Charming and picturesque, Sedgebrook Hall is set in idyllic gardens just 10 minutes drive from the M1 in the beautiful Northampton countryside. The bedrooms are inviting and cosy whilst the conference space is flexible and modern ensuring your every need is tailored to.